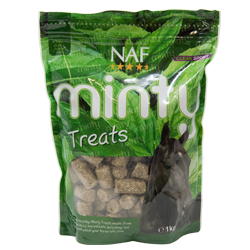 NAF Minty Treats are 100% natural and have been formulated using only the best quality ingredients, including real peppermint, so that you can now offer your horse a healthy and delicious treat. They are highly palatable and smell delicious to appeal to both you and your horse. 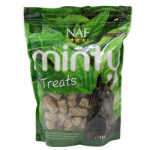 NAF Minty Treats are ideal to feed everyday, or just now and again as a reward, as a training aid or simply to let him know how much you love him. 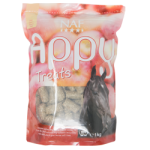 NAF Appy Treats are highly palatable to appeal to your horse. 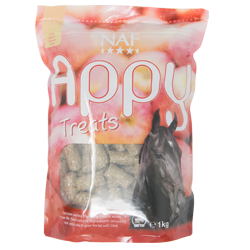 NAF Appy Treats are ideal to feed everyday or just now and again as a reward, as a training aid or simply to let him know how much you love him. 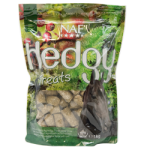 NAF Hedgy Treats are natural and have been formulated combining the finest natural ingredients including real hedgerow herbs so that you are now able to offer your horse a healthy and delicious treat. NAF Hedgy Treats are highly palatable to appeal to your horse. 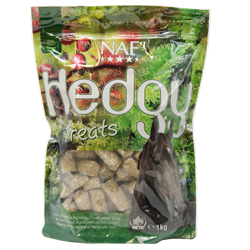 NAF Hedgy Treats are ideal to feed everyday or just now and again as a reward, as a training aid or simply to let him know how much you love him. The purest form of salt you can give your horse. 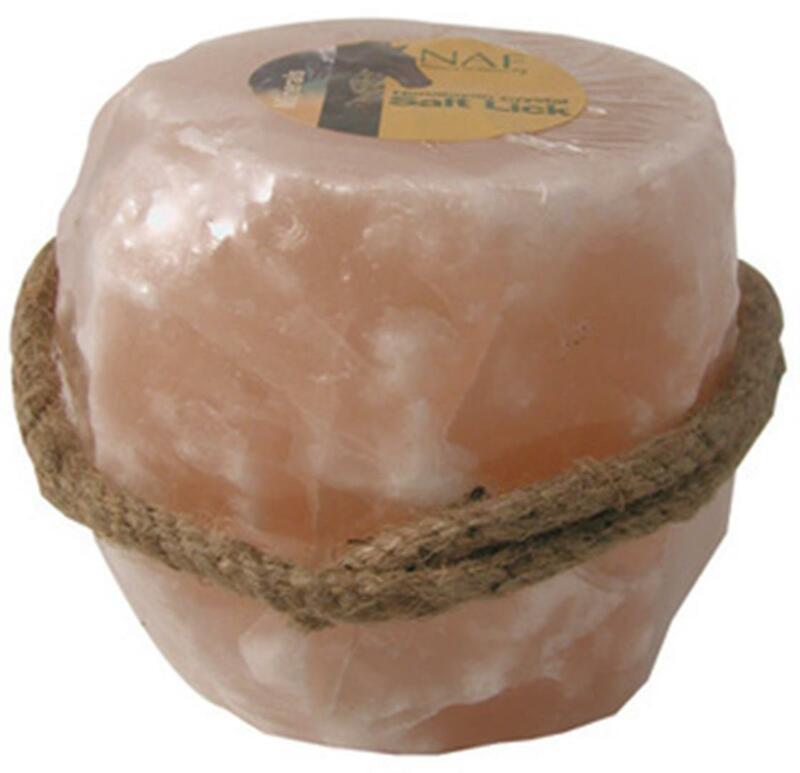 Natural and as pure as the day it was mined high up in the Himalayan mountains. Horses and ponies require supplementary salt on a daily basis. Research shows that salt is the one nutrient that horses will self-supplement to balance their diet. 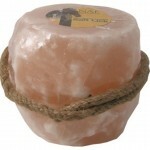 Himalayan Salt Licks hung in the stable and field allow access to the purest form of salt, without unnatural flavours that can encourage greediness! 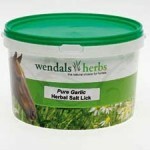 Combining the most beneficial and widely used herb for horses in a convenient lick.